The annual EWWR Awards ceremony is an event created to reward the most outstanding actions carried out in each European Week for Waste Reduction (EWWR). A Jury of European professionals composed of personalities from the environmental sector and professionals in the field of waste management, select finalists and winners amongst all the many inspiring EWWR actions. This year, the ceremony took place in Brussels on 22 May. 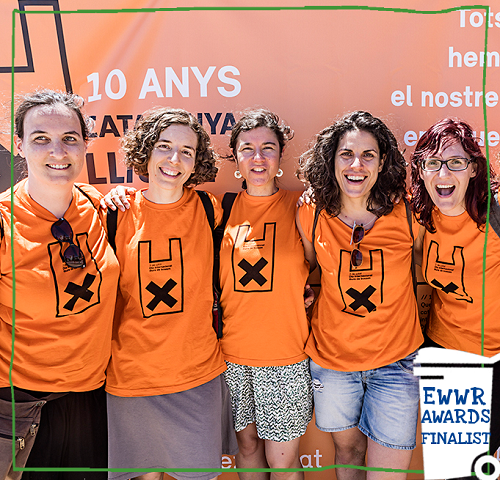 During the gala, the EWWR rewards one action from each of the five categories: public administration and organisation, NGO, Business, Educational Establishment and Citizens and a European Special Prize that recognises the project which best contributed to a European spirit. The Conscious Cup Campaign has been awarded for its inspiring 'Anti Black Friday Gorilla Campaign', a project which aims to create greater awareness of the significant negative impact from the manufacture, distribution and disposal of single use items such as a coffee cup and the effect it has on our environment and climate change. 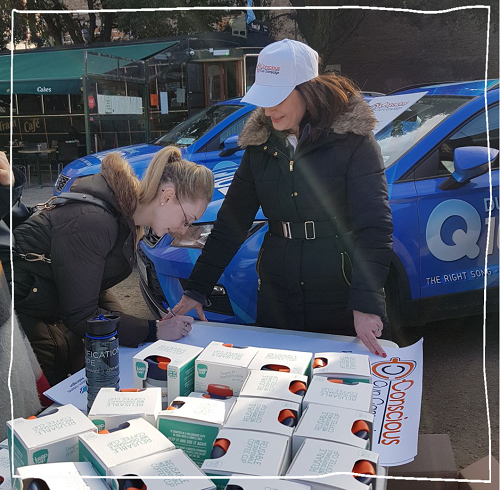 They chose one of the busiest shopping days in Dublin to encourage coffee drinkers to use reusable cups. 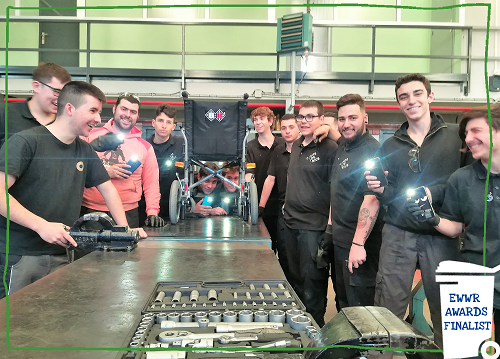 IES Comte de Rius has been awarded for its solidarity project 'Giving light to a wheelchair' which aims to improve mobility and the living standard of the elderly who are using wheelchairs in the streets. Their students have designed blinkers to be fixed on the wheelchair that help to indicate the turning direction and thereby let the elderly circulate more safely using only reused and recycled materials. Hertel Hähnchen has been awarded for its project 'Unpacked-directly into the pot'. 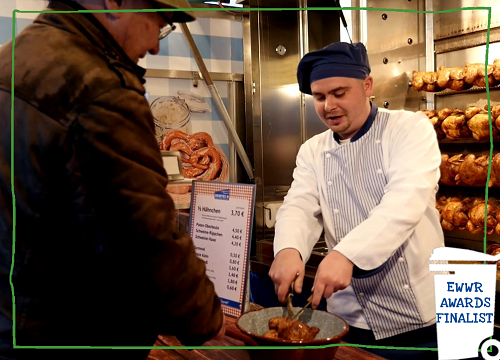 This initiative asks the costumers to bring their pots to the Food Trucks with flyers, a note on its homepage and a specially made video, in order to avoid plastics and others damaging products. It is a food brand that sells rotisserie chicken and other rotisserie meats, salads and baked goods. Rezero has been awarded for its project 'Objective Rezero' web series. It is the first european web documentary on waste reduction that features five families undertaking a challenge: 30 days without generating waste during their daily lives and routines of different types of households. 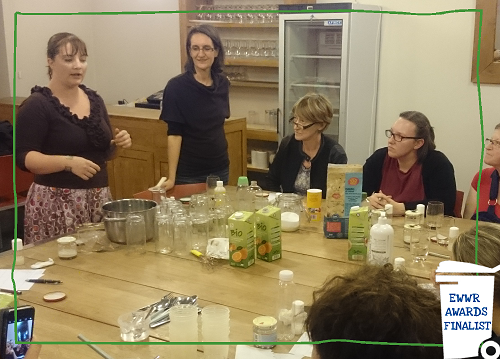 The city of La Louvière, in Belgium, has been awarded for its programme 'La LouvièR3: zero waste objective' which aims to produce less waste when shopping without dimishing their comfort. For this purpose, the environmental department organized the week around the three R approach: reduce, reuse and recycle. 'Coffee-to-go-nochemol' is a project on reusable coffee cups in the Eurodistrikt Strasbourg-Ortenau which promotes the abolishment of single-use coffee cups. It is a communication campaign aiming to raise awareness among clients and vendors on the negative environmental effects of this type of containers. The programme consists of two key elements: the communication kit and the development of hygiene recommendations. This initiative arises from the intention to support innovative solutions that have the potential to make a major social impact.